Callum Hudson-Odoi has reportedly handed in a transfer request to Chelsea amid widespread speculation linking him with a move to Bayern Munich. If the report by The Sun is to be believed, Callum Hudson-Odoi has officially requested to depart from Stamford Bridge this month. The teenage prodigy met with Chelsea officials last weekend to express his desire to leave the club, amid interest from Bayern Munich. The Blues have rejected a number of bids from the Bundesliga giants for the 18-year-old winger. Bayern though, have been eager to get their hands on Hudson-Odoi, and are even ready to table another bid worth £40 million just in the nick of time before the transfer window slams shut. Chelsea, on the other hand, offered a bumper contract to keep their starlet in England, only to have it rejected. Meanwhile, RB Leipzig have also made their intentions known to sign Hudson-Odoi, and are willing to include a buy-back clause in order to tempt the West Londoners to part ways with their prized asset. However, the youngster favours the move to Bayern Munich, which leaves Chelsea in a spot of bother. Either way, the player’s mind has been made largely owing to the fact that he has only managed to muster up 61 minutes of action in the Premier League this season. While he has featured quite regularly in cup games, the lack of regular first-team football has understandably left him frustrated. Hudson-Odoi is thus, eager to follow in the footsteps of Jadon Sancho by making his way to Germany in search of regular game time, and Bayern Munich may yet provide him that. It has been reported that Die Roten are planning a major rejig to their squad in the summer, with Arjen Robben set to call it quits at the end of the season. The Dutch winger’s departure could be good news for the 18-year-old, in his bid to break into the starting lineup instantly. Chelsea must pull a miracle in time to sweeten the deal for the youngster to extend his stay at Stamford Bridge, although the latest developments suggest that a move might be held off till the summer. 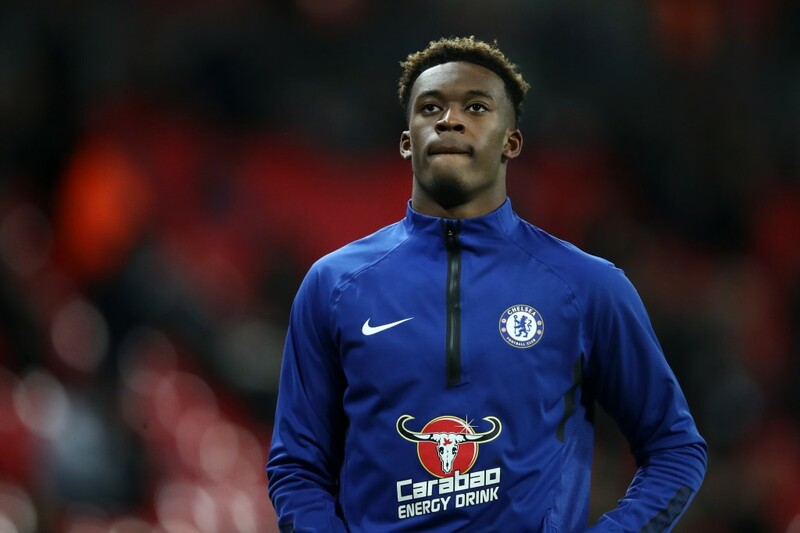 It now remains to be seen if Hudson-Odoi ends up leaving Chelsea this month, or if the move to Bayern Munich is delayed.